Howard Bryant joins us to talk about his just-released book, THE HERITAGE: Black Athletes, a Divided America, and the Politics of Patriotism. From his website: "It used to be that politics and sports were as separate from one another as church and state. The ballfield was an escape from the world’s worst problems, top athletes were treated like heroes, and cheering for the home team was as easy and innocent as hot dogs and beer. “No news on the sports page” was a governing principle in newsrooms. Howard Bryant is a senior writer for ESPN.com and ESPN The Magazine. He is the author of many books, including The Last Hero: A Life of Henry Aaron, Shut Out: A Story of Race and Baseball in Boston and Sisters and Champions: The True Story of Venus and Serena Williams for younger readers. Bob Avakian, Chairman of the Revolutionary Communist Party, The direct line from the Confederacy to the fascists of today, from The Trump/Pence Regime Must Go. In the Name of Humanity, We Refuse to Accept a Fascist America, A Better World Is Possible. 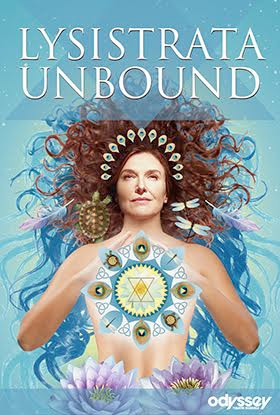 We'll speak with Director John Farmanesh-Bocca, and Actor Brenda Strong (Lysistrata), from Lysistrata Unbound. In this newly imagined, dramatic version of Aristophanes’ Lysistrata by acclaimed playwright Eduardo Machado, an aristocratic Athenian matron is crushed by fateful events and gradually transformed into the most celebrated anti-war activist of the ancient world.